If you've just dropped a ton of cash on a new phone or got one for the holidays, buy yourself one last present: an Otterbox case to keep your fancy new toy safe and sound. We hope you love the products we recommend! Just so you know, BuzzFeed may collect a share of sales from the links on this page. FYI — prices are accurate and items in stock as of time of publication. A few weeks ago I was using my iPhone 6 and the camera died. I ended up missing the funniest moment because of it, but found solace in the fact that I had a brand-new, shiny iPhone X waiting for me at home. Because of my business (I'm a travel writer) and my addiction to technology, it was obvious that I needed a phone I could rely on. And after not upgrading for the past three or four years, it was due time. So I got my hands on the iPhone X; it’s so fancy, and I was amazed at how fast everything loads on it. But how on earth was I going to keep this piece of glass safe while on the road (because yes, let’s face it, the new iPhone is basically a piece of glass)? I have been a huge fan of Otterbox phone cases for a while now because of their top-notch protective abilities. My now-retired iPhone 6 lived in one (and, dead camera aside, survived unscathed), so I knew that I’d have to pick up a few versions for my new gadget — and I didn’t want to sacrifice function for style. 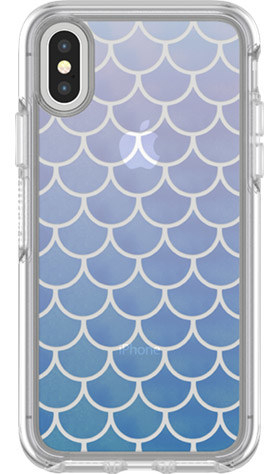 Thankfully Otterbox has come out with an awesome new line of cases for the iPhone X, the Symmetry Series. And Oh. My. God. They are all so pretty. 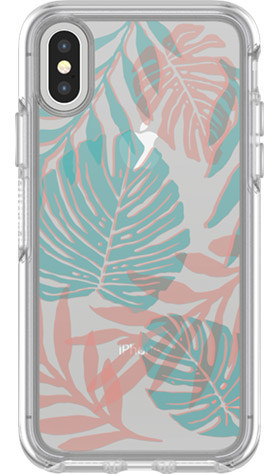 I always like to have two cases for my phone, because sometimes I wind up going on adventures — or even just bike rides — that require a bit more protection than what's necessary for everyday use. So I'll switch it up to one of Otterbox's Commuter Series cases ($33.96 for the iPhone X). 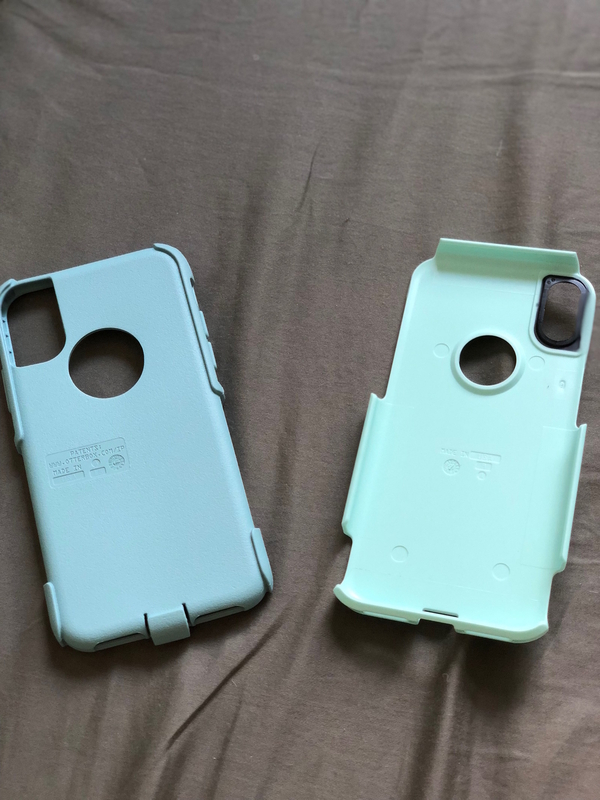 My case is a pretty baby-blue color, and I appreciate how compact it is, proving that not all really protective cases need to be awkwardly bulky. 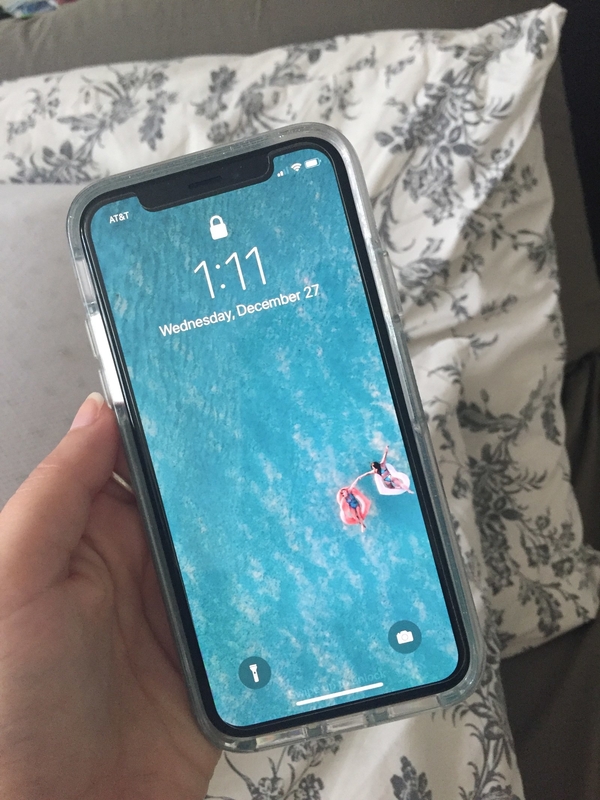 It's a two-layer case that helps keep your phone extra safe when you’re on the go, and it has a port on it to protect the inside of your phone from dust and debris — making it the perfect case for trips to the beach or going hiking (or even running around New York City tbh). And no matter what, I always finish off my protective gear with an Alpha Glass Screen Protector. You seriously don't even notice this screen protector once it's been applied, and it protects that pricey glass screen from shatters, cracks, and scratches. For $39.95, it's well worth it. If you just got a new iPhone X for the holidays, buy yourself one last present — an Otterbox case to keep your fancy new toy safe and sound (until the next one comes out, of course). Bonus: For a limited time, the entire Otterbox site is 15% off! 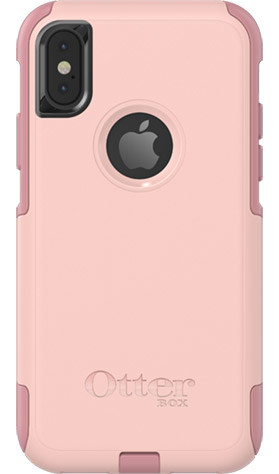 Get a Symmetry Series case from Otterbox for $27.96+ or a Commuter Series case from Otterbox for $24.46+ (both available for a variety of phone models).